I always look forward to breakfast at my grandparents’ house. Originally from Panamá, my grandma moved to New Orleans when she only was sixteen. I’ve always found her cooking to be a seamless and unique blend of southern comfort and traditional Panamanian; her specialties include both ropa vieja and Oysters Rockefeller. 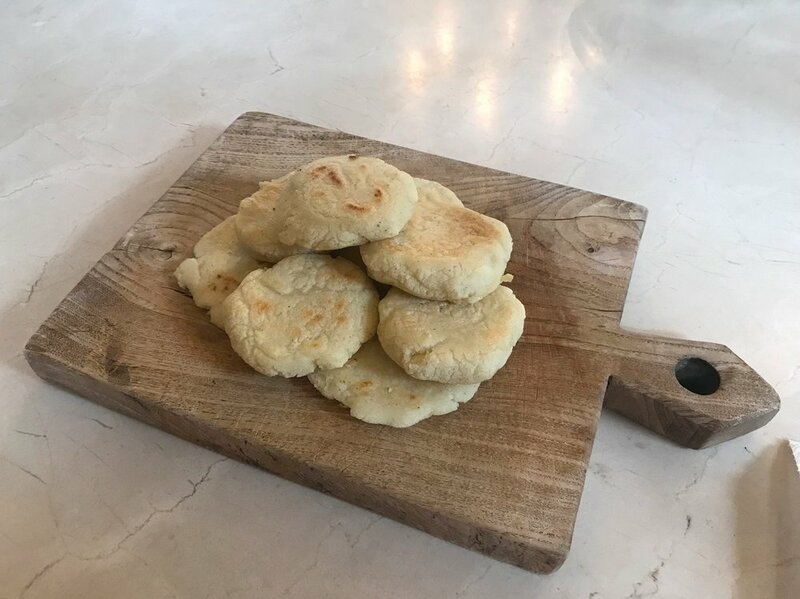 After twenty years of her breakfasts, I see arepas and biscuits as two sides of the same customizable, carb-loaded coin. My grandma serves her arepas with several different cheeses—goat, cheddar, even brie—and usually bacon or sausage on the side. I prefer a strong cheddar, stuffed into the arepa while it’s still too hot to eat. That’s just me; you can fill them with almost anything or even eat them plain. They’re small enough that you can comfortably try multiple combinations in a single breakfast. Pour water into a medium mixing bowl. Gradually mix in salt and corn meal. 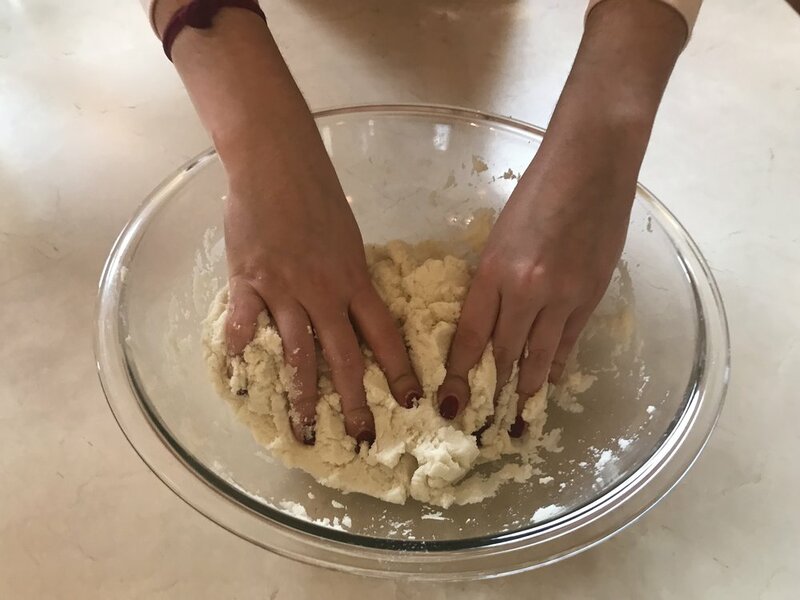 Knead mixture until it forms a smooth dough. Let rest for 5 minutes. Create 10 balls of dough. Then, press each one with your palm to form the arepa so it is about 3 ½ inches in diameter. 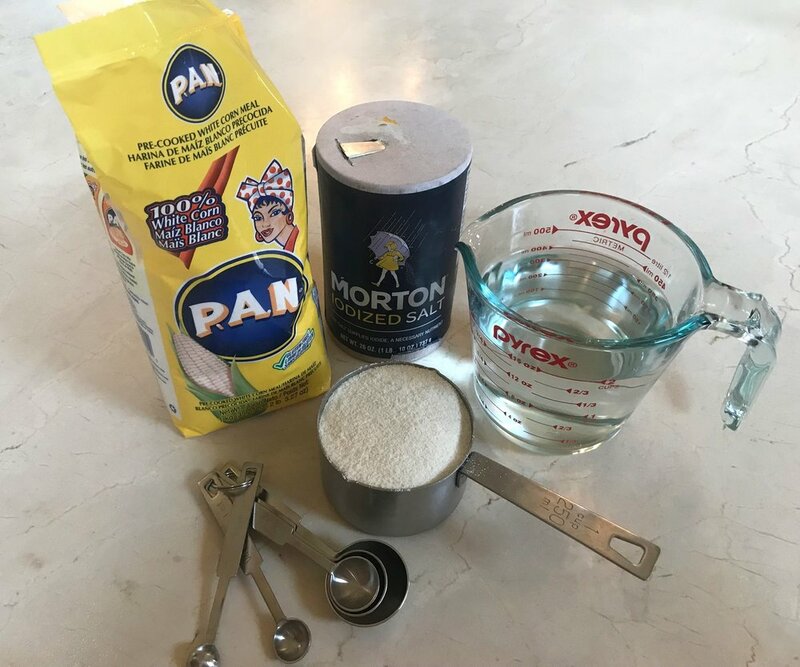 Fry arepas into a pan over medium heat for 5 minutes on each side. Open arepa and fill. Serve hot. Note: If you want to make thicker arepas but don’t want them to be soggy in the center, you can put them in the oven after frying on the stove.